Classic-Castle.com • View topic - Come Join The Fun! Looking for motivating contests, building inspiration, people to meet, or just a fun new challenge? 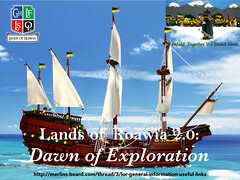 Check out Lands of Roawia on Merlin's Beard today! Then get to building and you'll have plenty of great creations to post right here in the Classic-Castle forums. Re: Come Join The Fun! This belongs in Publishing...I moved it for you. Bluesecrets wrote: This belongs in Publishing...I moved it for you.